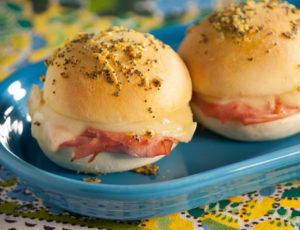 Celebrate that graduate’s special day with these clever and simply perfect diploma sandwich rolls. They will earn you an A+ for sure. Spray counter lightly with non-stick cooking spray. Flatten each roll into a 5×7-inch rectangle. Cut off a 1/4-inch strip from the 7-inch side, and set aside. 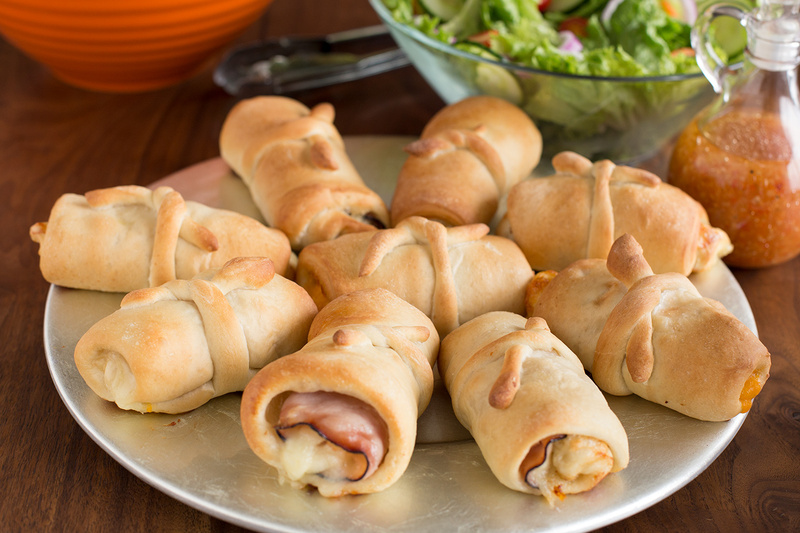 Place one slice of each meat and one slice of cheese on each roll. 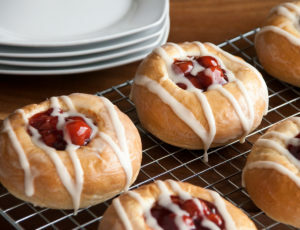 Roll up jelly-roll style, starting with a short side. Tie with the 1/4-inch strip of dough. Place rolls on a large sprayed baking sheet. Cover with sprayed plastic wrap. Let rise 30 minutes. Remove wrap and bake at 350 degrees F 15-20 minutes.